Each time you administer a test, your account is charged a specific number of credits. You can create test keys without any credits, however, they cannot be used until the appropriate number of credits are available within your credit balance. You currently do not have any credits in your account. Please use the links below to select a credit package, so that you can begin or resume testing. 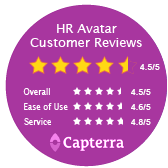 Simply load your account with HR Avatar credits in advance to administer tests when you need to. Choose the pack that is right for your needs. Note that credits can be used toward any HR Avatar tests. Want a different number of credits? You can purchase any number of credits. Please enter the number you would like in the box below. We will automatically apply the best available volume discount. HR Avatar credits can be used toward any HR Avatar tests. Credits are non-refundable and expire 12 months from the date of purchase. There's no minimum purchase. If you make multiple purchases, our system always applies the oldest credits first. Buying lots of credits? Consider a subscription. Need to test a lot of candidates? Don't want to worry about your credit balance? Subscription-based pricing is now available. We offer flexible plans that can allow you to offer either a specific HR Avatar test or all HR Avatar tests at an unlimited volume over either a short-term or long-term period. Please call us at 703-688-3981 to determine the best plan for you, or use our online contact form.